Used incorrectly, fire can degrade wood quality and its value as timber. 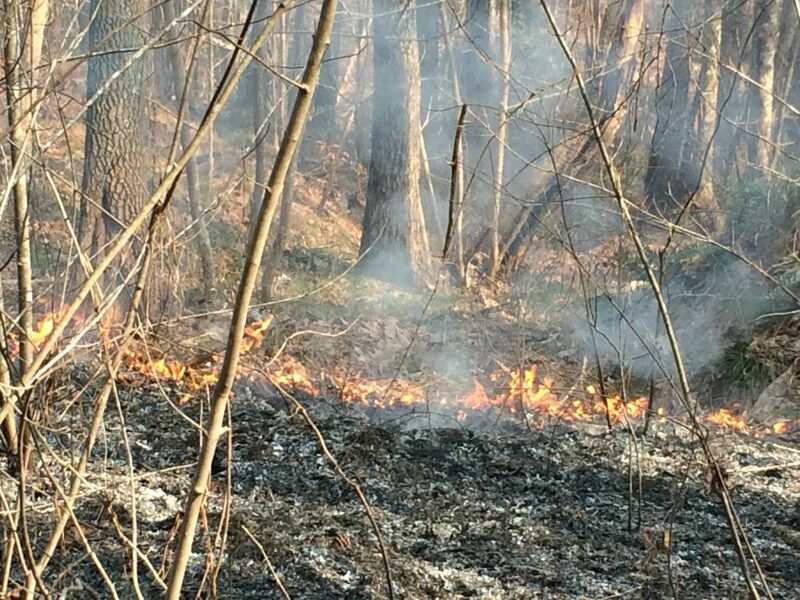 When should managers use prescribed fire in hardwood stands? A dormant season prescribed fire burns through a hardwood stand in northern Alabama. Photo by Callie Schweitzer, USFS. “I field a lot of questions from state and local partners about the long-term effects of using prescribed fire in hardwood stands,” says USDA Forest Service scientist Callie Schweitzer. Schweitzer has spent her career studying upland hardwoods – particularly oak species. She tells of how a century of fire suppression has led to fewer natural oak communities across the South. And how land managers are struggling to regenerate oaks to maturity, primarily due to competition from other tree species. Forest managers frequently include prescribed fire in their oak restoration plans. Oak-pine forests and woodlands are fire-dependent, but prescribed burning is not without risks. Schweitzer collaborated with fellow research forester Daniel Dey of the Northern Research Station to review current science about the long-term impacts of using prescribed fire to manage oak forests and woodlands. Their review was published in the journal Forests. They examined how fire can cause tree damage or mortality. Fire scars on a tree’s trunk provide an opening for wood-decaying fungi. If the trees are pole- or sawtimber size at the time of injury, the wound can persist for decades and thus have a bigger chance of affecting the log value. “Previous research studies have found that fire behavior – frequency and intensity – impacts tree wounding, and the wounding response differs among species and within species by size class,” adds Schweitzer. Mortality is highest for seedlings. This can be a risk for hardwood species of interest – or a control strategy for prolific competitors like red maple. 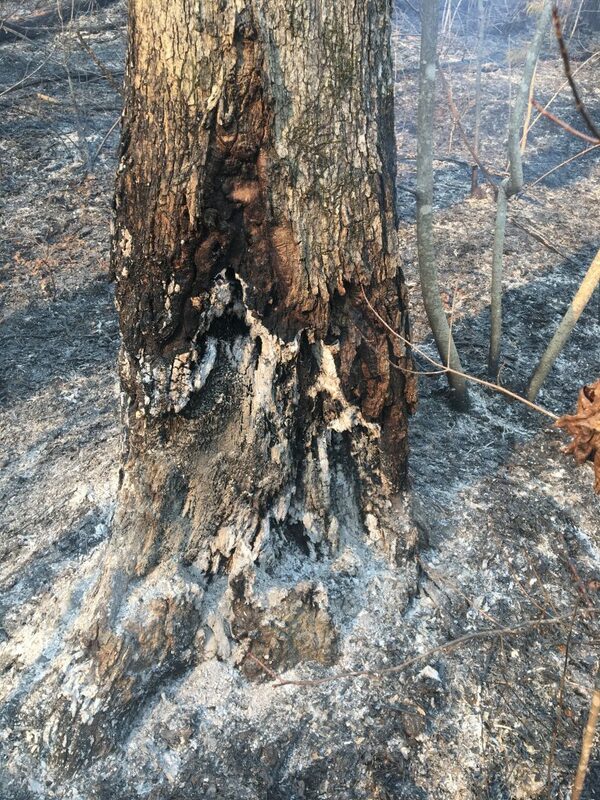 A prescribed fire damaged the lower bole of this white oak (Quercus alba). Once scarred by fire, the thinner bark over a burn scar callus may increase a tree’s vulnerability to future fires. Photo by Callie Schweitzer, USFS. Day and Schweitzer reviewed a number of factors that influence fire damage. They looked at tree species, tree size, bark characteristics, tree defense against decay, tree compartmentalization – their ability to create a protective boundary around damaged cells, and fire scar characteristics. Oaks are well adapted to fire, in part because they prioritize carbohydrate storage in root systems and can re-sprout if top-killed by fire. Upland hardwood species tend to have thicker bark than their bottomland counterparts. Species in the white oak group – post, bur, and white oaks – tend to have the thickest bark, followed by red oaks. Despite the species differences, tree size is important. “When tree diameters reach about four inches, their bark is often sufficiently thick to protect against fire scarring,” says Schweitzer. The scientists consider six different scenarios for using prescribed fire to favor oaks. The scenarios span a number of stand age and management approaches: from encouraging oak reproduction in mature forests, to establishing oaks after a clearcut, to managing hardwood stands with multiple age groups, to restoring oak woodlands and savannas. The scenario that comes up the most often is stand initialization. Schweitzer is often asked about using prescribed fire to ensure that oaks outcompete other woody vegetation. Fire is very effective once oaks reach the large seedling size, and it can also help managers control invasive species and create diverse wildlife habitat. White oak demand has increased with the boom in craft distillery operations. Demand for other oak species – like chestnut and oak – is also up, as those are substituted for use in flooring. Photo by Callie Schweitzer, USFS. “In this scenario, managers need to include a fire-free period that’s long enough for the oaks to grow taller than other trees in the midstory,” says Schweitzer. In that time, oaks also grow and use their root reserves to out-compete other hardwoods. Sometimes prescribed fire is not the most effective forest management tool. 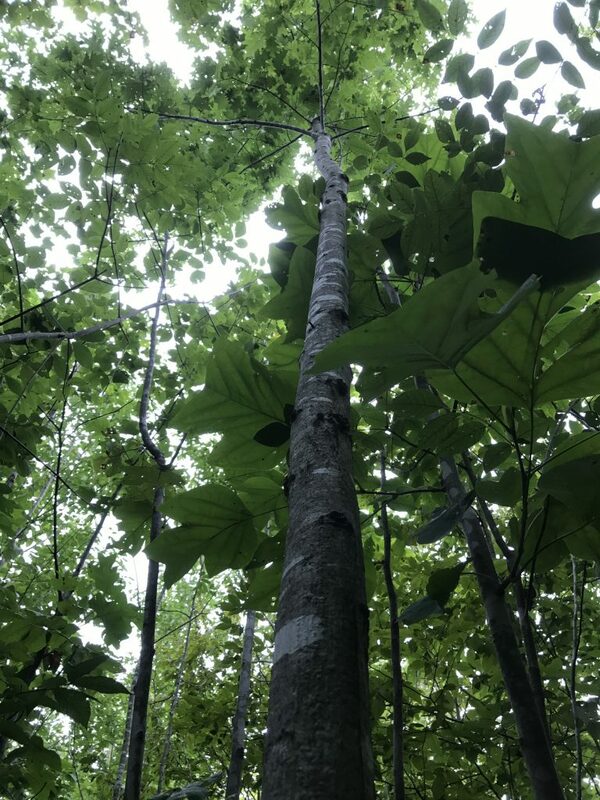 “When you’re designing burns in closed canopy stands, pause and ask if mechanical or chemical treatments might get you the desired structure or composition outcome without the risks of tree injury or mortality,” says Schweitzer. Managers are often trying to direct a stand toward oak-dominated reproduction – in effect, they’re focused on the future, the next cohort of trees. But there is a lot of value in the current cohort, too – whether it’s timber, wildlife habitat, recreation, or water supply. Read the full text of the review article. For more information, email Callie Schweitzer at cschweitzer@fs.fed.us.